One of these days, I hope to begin a week not feeling exhausted and low on energy, but relaxed and refreshed and ready to tackle the new week. Being tired is a sign of a fun, active weekend, but maybe I need a little bit less fun and a little more rest. It’s always a balance. We had a super fun weekend, despite some super disappointing football games (so sad for my Huskies and Seahawks!). Mike’s cousin was in town from Montana with his Johnny Cash tribute band, The Cold Hard Cash Show. What a FUN show. We’ve seen them three times now and they keep getting better and better. 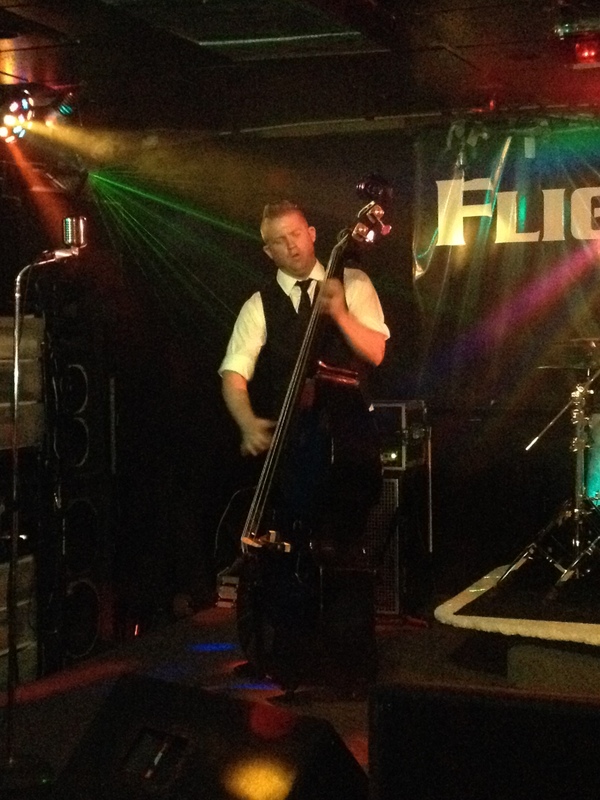 Mike’s cousin is a self-taught bass player and he is incredible! It was so nice to get out and go to dinner with Mike and have some kid-free time. We haven’t been able to get out much this fall…it was much needed and a good reminder that we need to do it more often! Earlier in the day, I participated in a pedalathon to raise awareness for an incredible program called Pedaling for Parkinson’s. This class at the Y dramatically reduces Parkinson’s symptoms in participants who come and cycle at 80+ RPMs for an hour three times a week. It’s a life-changing class! 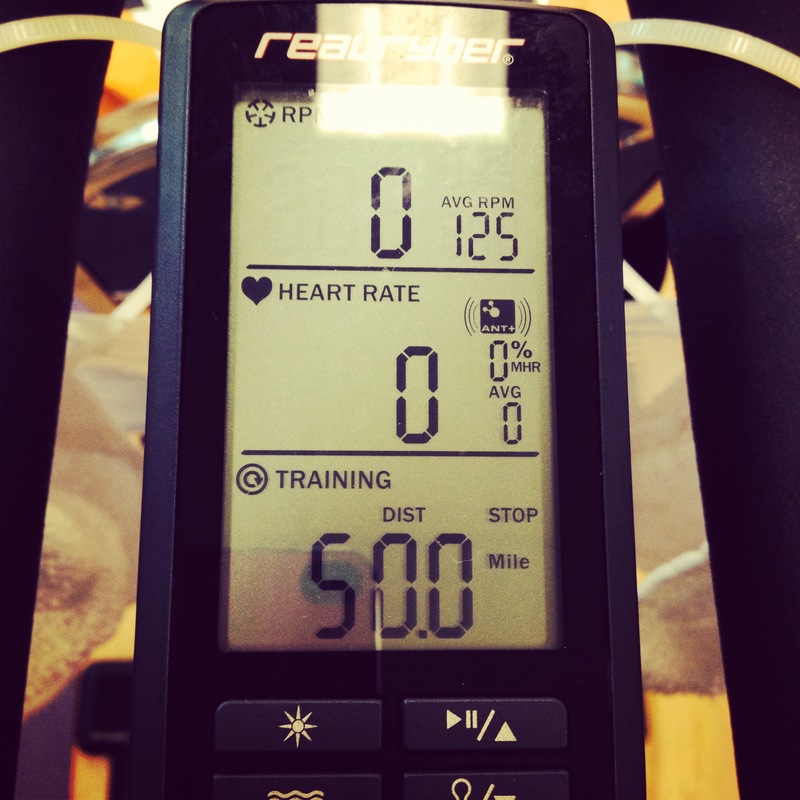 It was a competition so I pedaled my booty off (literally) and went 50 miles in 90 minutes. So, my goal of blogging five days a week totally bombed already. I reevaluated my goal and I’m going to shoot for 3-4 times a week. That number is much more manageable and will fit better with other projects — writing and otherwise — that are priorities. I did miss the routine of writing/blogging last week, so I will be making more of an effort, if for no other reason than to clear my head of the craziness that lives there! 2 – Food: Back to Whole30 eating…I kind of fell off the wagon hard and need to get back on fast before I lose everything I accomplished! 3 – Fitness: Six workouts…I know this sounds ambitious, but last week was kind of a dud of a workout week. My knee was bugging me, my son was sick for a big chunk of the week, and I just felt out of my routine. Focusing on these goals will greatly improve my energy level and mental sanity…it always does! When I’m in a good place with God and taking care of my body, I feel so much better. Make it a great Monday!! Tuesday’s Tip: To Do List that WORKS! 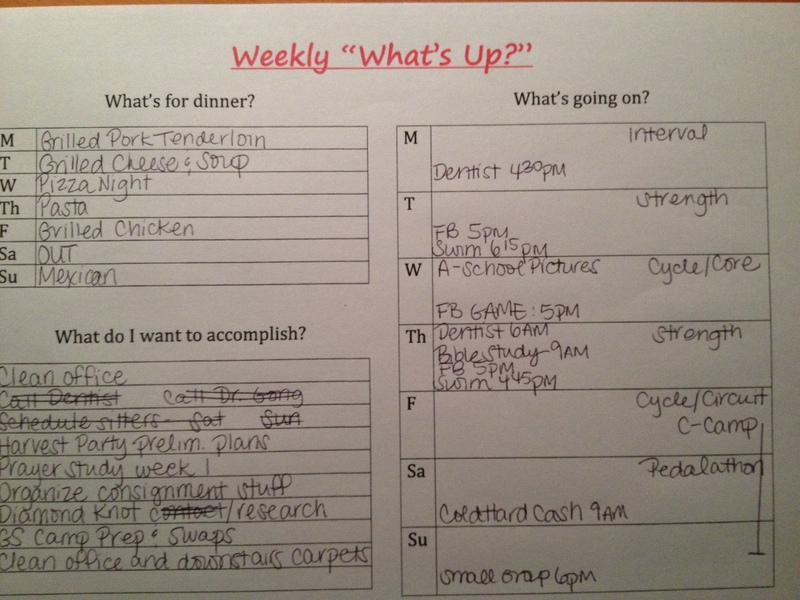 I’m really good at making up schedules and routines, but really bad at sticking to them. I will scour blogs, websites, and Pinterest for the perfect household routine that I believe will magically make my life easier and my house cleaner, but they never work for more than a day or two. I lose interest and motivation and then nothing gets done. It’s not anything fancy, but it gets the job done and my productivity level is up because of it. In the past, I would take on too much during the week and then end up accomplishing nothing because it felt so overwhelming. I have been able to tackle the items and if I don’t get to everything, I reevaluate at the end of the week and either move it to the next week, or eliminate it. I would love to share this with you, although I’ve found that sometimes it’s best to come up with a completely unique system that works just for you. Here you go: Weekly What’s Up! Next week: my personalized cleaning routine…another schedule I created myself once I realized that all of the pre-made ones just won’t work for my house or life! Wow, Monday showed up fast It always seems to, but this weekend was especially nuts so it really, truly flew by. After being gone all day Friday at my grandma’s memorial service, we hosted a sleepover for Ryan’s 10th birthday. I know I must sound insane, but it was the only good night to have it this month with football games, school, etc. We had a six boys over to play games, eat pizza, and play. Listening to the noise coming out of the basement, I could tell they were having a blast. They did stay up crazy late though…like almost 3am. We fell asleep and woke up at 2:30am to voices. Craziness!! We’ve hosted two sleepovers in the past two weeks and I’ve decided no more until summer! It’s quite different being on the parenting side of sleepovers and I thanked my parents for letting me have them when I was growing up after experiencing ours this weekend! Because of my long day on Friday and the Friday night sleepover, I spent much of Saturday parked on the couch. I felt super lethargic, but I really needed a down day. I’m thankful I can have one of those every once in awhile. I have a to-do list a mile long, so it probably wasn’t the most prudent thing, but sometimes it’s important to opt for rest instead of pushing myself to the breaking point. I feel energized and rejuvenated after the weekend and ready to attack the week. I don’t have a ton of extra stuff going on this week, so I can focus on getting caught up with things around the house. I certainly miss the lazy days of summer. Being home so much meant that I could be more productive and stay on top of cleaning and projects. It’s hard to be running around so much. I’m going to make a concentrated effort to stick to my home time on Monday afternoons and Tuesday. I’m going to try and protect that time a little more diligently and use it wisely. Today is my son’s 10th birthday. Ten. Double digits. REALLY old (which also makes ME really old!). I’m trying to think of something profound to say on this happy day, but all that goes through my head is: a decade. I have been a mom for a decade. I’ve spent some time reflecting on the past 10 years and marveling at how incredible parenthood is. When you’re pregnant with your first, many people tell you how parenting is the toughest, but most rewarding job you’ll ever have. I tend to agree. I love my children passionately, but being their mom has challenged me to my very core. I’m thankful that we’ve had many more ups than downs and I’m learning more and more each day about God’s grace as I extend grace to my children. One of the greatest benefits of having children is that I get to catch a small glimpse of the immense depth of God’s love for me. I cannot fathom losing a child, yet God sacrificed his only Son to cover my sins, so I no longer have to be separated from him. I always felt the weight and importance of this tremendous gift, but until I had my own children, couldn’t even begin to grasp what it would be like to sacrifice a child. Having the parent – child relationship mirror our relationship with God has taught me so much. It has helped me grow and mature spiritually, as well as grow and mature as a parent. I still have a LONG way to go and a lot more to learn, but I’m not on this journey alone. I have God, and I also have a wonderful, godly husband. My kids, especially my son, are blessed to be able to call him dad. As we celebrate my son today, I’m going to be sending up prayers of thanksgiving for God’s faithfulness throughout the past decade. He is constant. He is ever-present. He has my kids in the palm of his hand so I don’t have to worry, I just get to love on them (the not worrying part is easier said than done!). I used to think that if I couldn’t get in a good, solid 60-minute workout, it wasn’t worth trying to do anything. Oh, how I was mistaken! Since I FINALLY have grasped that my weight is more related to what I put into my mouth at each meal instead of how hard I workout each day, I have been a little more lax a few days a week because it just works better with my schedule. We go to our local Y and although I love it, my kids don’t necessarily enjoy going every. single. day. When school started, I committed to working out at home two days a week to eliminate a couple of the Y trips and also save some time by not getting in the car and driving over there at an inopportune time to catch a class. At home, I have access to a treadmill, dumbbells (from 8 – 35 lbs) that we’ve invested in over time, and some DVD work out videos. I can quickly come up with a workout for those home days that although shorter, still provides a challenge. Yesterday, I had about 30 minutes before my big kids were getting off the bus and the two littles hadn’t watched any TV yet for the day, so I put on a show and cranked out a quick workout. With Pinterest and other online resources, it’s easy to find inspiration and ideas for home workouts. I have heavy cardio days on Monday and Wednesday, so I wanted to do a strength workout. I opted for a Deck of Cards workout. You can do a Deck of Cards workout with an actual deck of cards or you can download an app that will randomly select the exercises for you. 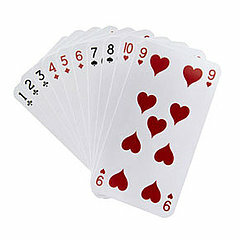 With Deck of Cards, each suit is assigned an exercise. You shuffle the cards and draw a card and does what it says: suit is the exercise, number is the reps (with face cards being 10 reps and aces being 15). I knocked out this workout in just under 30 minutes and by the end, I was a sweaty mess! I kept track of my time and will try this workout again in a couple of weeks to see if I can complete it a little faster than today. A little bit of effort can go a long way. If you’re short on time, you can still get moving and get your heart rate up. A 10 minute run is better than no run! Be creative and see how you can incorporate a little fitness into your day today! I cannot stand packing lunches. I do a lot of monotonous tasks over and over again, but this one takes the cake. In fact, it is probably my LEAST favorite thing about returning to school in the fall. In attempt to shift some responsibility onto my big kids, as well as make mornings a little less rushed, I put them in charge of making their lunches this school year. In some ways, this is creating more work for myself because they can’t quite do it independently, but I know once they learn this skill, I will be thrilled to not have to think about this one. 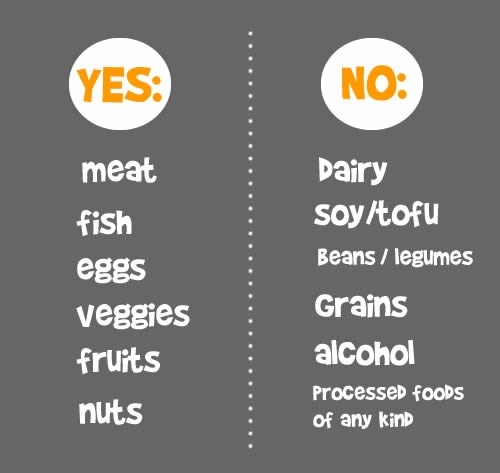 In order to simplify the process and make sure that they are making healthy choices, I came up with this little chart that I post on the refrigerator each week. 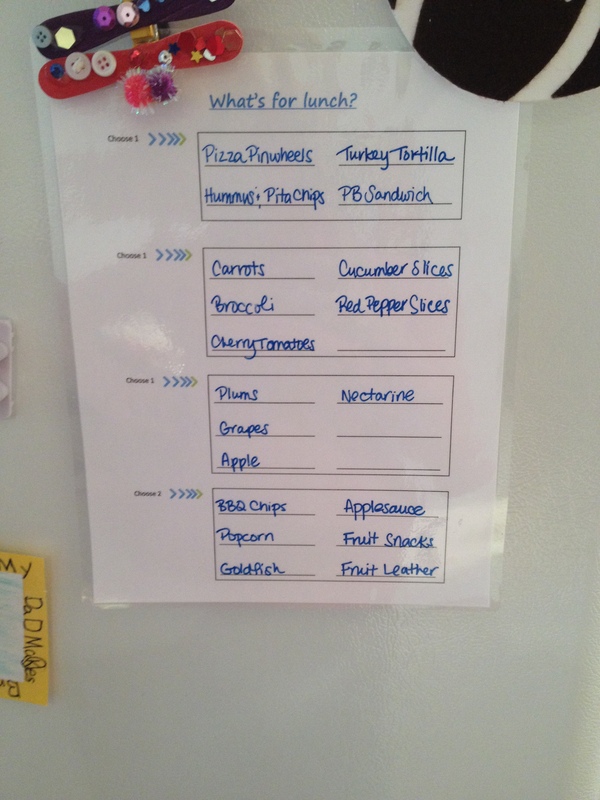 I laminated the chart so I can change the choices based on what is in the fridge that particular week. They get to choose one “main” dish (sandwich, beans and cheese, leftover pizza, tortilla roll-up, etc. ), one veggie, one fruit, and two items from the “fun” category (fruit leather, applesauce, chips, etc.) They each have Camelbak water bottles that they fill to round out their lunches. We’ve been using the chart for just over a month and so far, it’s a success! It takes the guesswork out of packing the kids lunches and there is no more whining about what is being offered or what we have to eat. I love it when I can eliminate an opportunity to whine! Happy Monday! Mondays and Tuesdays are two of my favorite days of the week right now because he hardly have any commitments on those days. And today, it’s MONDAY NIGHT FOOTBALL! 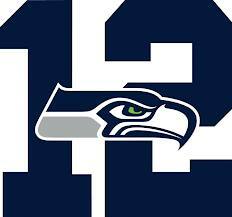 I can’t wait to get in my PJs early and watch the Seahawks. It’s been over two weeks since that nail-biter against Denver and I’m ready for some football! Tuesday Tip: a recipe, something that makes my life easier, etc. Workout Wednesday: I’m a certified personal trainer and I used to be in the habit of coming up with workouts, sharing workouts, etc. but I’ve kind of gotten away from that. I’ll share workouts, fitness tips, my current health plans, etc. This isn’t written in stone, but I think it’ll give me some good direction. And now back to our regularly scheduled programming: Monday Mash-Up! This weekend was extremely busy and I’m tired this morning, but my heart is full. We had my grandma’s memorial service on Saturday, so that meant lots and lots of family time which I always love. Friday night, I took the girls to my grandpa’s house for dinner so we could visit with the out of town family that came into town for the service; my great aunt and uncle from Minnesota, my mom’s cousin from California, and my cousin and his wife. I love that they came to visit and were able to be here for the service. It was so meaningful to my grandma and to my mom and aunt. They are such dear people and have visited often over the years so I’m thankful that I know them too. On Saturday, we had a beautiful memorial at my grandpa’s church, the church I grew up in. He’s only been attending there for 18 months, but they congregation has surrounded him with love and support. It’s a true picture of what community should look like. After the service, we had a luncheon and then I spent the rest of the day at my parents’ house and had a family dinner that evening. Meanwhile, in the afternoon, Ryan had a football game and he scored his first touchdown!! So thrilling for this football-lovin’ mama. This season has been a challenge for Ryan and I’m so proud of how he has stuck with it and because of that, continues to improve week after week. 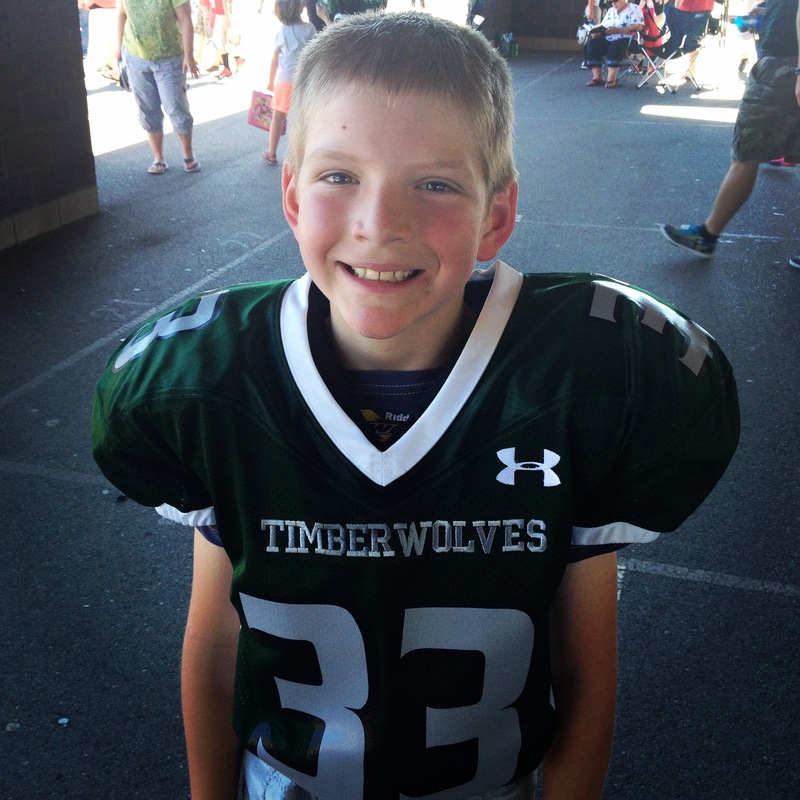 Ryan is a natural athlete and most things come pretty easily to him, but tackle football is an entirely different animal, especially when most of his teammates and opponents have been playing for several years already. He made a great catch and ran about 30 yards for the touchdown. I’m most excited for his excitement. He’s worked hard and it’s always nice to be rewarded for your efforts! I was with family during the game so I missed it, but incredibly, another parent got it on video and sent it to us. I’m so thankful to have his first touchdown on video! Hopefully I’m there to see the next one in person. Sunday, I volunteered with the elementary school kids at church and then spent most of the day at home getting ready to host our new small group. We’re hosting a couples small group and have the kids in the basement. We will typically have babysitters down there, but I didn’t get my act together in time so all 15 kids were basically let loose to roam freely. What a crazy, fun time!! We are so excited to get to know the other families in the group a bit better. We want those close family connections for ourselves, as well as our kids…another way to live out community. I’m excited to watch our group grow. Yesterday’s post sparked several questions, so I’m going to attempt to answer them here. I’m also going to try and post links to all 30 days of my Whole30 journey so you don’t have to go fishing for them on the blog. How did I prepare for the Whole30? This is the 2nd time I’ve done a Whole30, so I knew what I was getting myself into, but it does take a couple of weeks to prepare. I guess you could just jump right into it, but I felt like I need to be mentally prepared, as well as have my fridge and pantry stocked with Whole30 compliant foods. I eat unprocessed food most of the time and have avoided gluten for six months because of a whole different issue I was having with night sweats (and yes, they went away entirely once I cut gluten), but I went on vacation in August and fell off the healthy train, big time. I truly believe that sugar has addictive properties because once I started eating it, I could. not. stop. I knew I needed to do something drastic to cut my cravings and I knew the Whole30 was the answer. I highly recommend reading the book, It Starts With Food by Dallas and Melissa Hartwig before beginning. They detail the “whys” of cutting out so many foods for 30 days. It’s not just about eating healthy, it’s about giving your system a “reset” so you can find out what might be contributing to health issues. Did I eat differently than my kids and husband? Yes and no. Breakfast and lunch I was on my own to eat something entirely different, but I have always ate something different than the kids for those meals. With dinner, I tried to cook something that we could all eat and then just alter mine to fit Whole30. My kids are really good fish and chicken eaters though, so many nights we did have a protein like that on the grill with veggies and I just made bread or biscuits or something to supplement their meals. When we did burgers or tacos, I would have the meat without the bun or the taco shell. There were some nights when I did have something entirely different. I make homemade pizza on Friday nights and there was no way around making that one work for me. I made them pizza and I would have leftovers of something else or chicken sausage and veggies. The key was planning ahead so I could minimize my efforts in the kitchen and make sure we were all satisfied at the end of a meal. Did I use a menu plan or guidelines? The book details very specific guidelines so I used that as a launching point, but beyond the guidelines, I was on my own to menu plan. Basically, each meal should have 1-2 palm-sized serving of lean protein, 1-2 thumb-sized servings of healthy oil, and the rest should be filled with veggies. I ate fruit sparingly because even though fructose is natural, it still contributes to sugar cravings. This time around, I planned out an entire month of meals (lunches and dinners). I know that sounds incredibly OCD, but I needed to know what the whole month was going to look like before it happened. Last time I did it, I got stuck in a major food rut and that made it so much harder. This time, I tried many new recipes and flavors so I didn’t get bored and didn’t feel like the Whole30 was a punishment. I turned to Pinterest for most of my recipe inspiration. If you search “whole30” you’ll get a ton of ideas. You can check out my Whole30 Pinterest board for some ideas. There is no cost for the program. I think you can subscribe to daily emails from the Whole30 team for about $15 a month, but I figured I could do it on my own. Both times, I did it with a friend and that was incredibly helpful because we could bounce ideas off of each other support each other when we really, really were craving something…like wine! How did I give up things I love? I wish I had some magic answer here explaining the trick to give up foods you love, but I don’t. My best answer is that it is only 30 days of your life and if you truly commit and plan ahead, you can do it! I chose the month of September because there were no holidays and no family birthdays or anything so I could reduce the temptation I might face, but it all comes down to willpower and how bad you want to succeed. My health issues were troubling enough for me to stick to it. Doing the Whole30 was the last thing I was going to do before visiting a naturopathic dermatologist and thankfully, diet changes took care of the problem. I did miss my weekend wine, but I knew I could have it in October. I did miss out on eating yummy Chinese food with friends, but again, I knew it was just a one-time thing, not a forever thing. Any lifestyle change is hard, but if you’re prepared and have the right mental attitude, you can succeed! I know you are all waiting on the edge of your seat for my Whole30 recap! 😉 I was very excited to step on the scale this morning and take my measurements and see where I landed after 30 days of eating clean 100 percent of the time. In addition to trimming up, which I attribute COMPLETELY to what I ate because I didn’t change up my workout routine at all, I noticed some other incredible bodily changes. Tummy bloat is GONE: When I was on vacation in August and eating ALL the food, I noticed I had a nice little gluten/sugar baby growing in my belly! I don’t know about you, but I don’t enjoy looking four months pregnant when there is no baby in the belly! As soon as I cleaned up my diet, the tummy bloat disappeared. I did discover have to be careful about how many nuts I eat. There were a few days where I overindulged in cashews and hazelnuts and the bloat returned. I read that nuts are hard to digest for some people, so I cut back on those and had no further issues. Major skin improvement: Off and on for the last 18 months or so, I’ve struggled with folliculitis. I know that sounds really nasty and gross and it really is! It’s acne of the scalp…not really noticeable to anyone, but quite painful for me. My dermatologist said that they don’t really know what causes it and I even went on antibiotics to get rid of it. It disappeared when I was on the pill for 6 months or so, but when I went off that medication, it returned with a vengeance! I am happy to report that it is completely gone! Melasma is GONE: With all of my pregnancies, I had melasma or “pregnancy mask” that resulted in skin pigment changes on my face. Each pregnancy it got a little worse and after having my 2-year old, it didn’t go away. It wasn’t bad; most people would never know I had it, but I had two dime-sized spots at the lower outside corner of each eye. They always got darker in the summer because of sun exposure, but they were present year-round. I rarely put on make-up anymore because it seems I’m always in workout clothes, but when I do, I actually had tinted lotion to blend the spots in with the rest of my skin. About a week ago, I noticed they were GONE. I’ve always heard spots like that might be related to sugar, but I’m not sure. I’m just happy they are gone and I have even skin tone again! No urge to snack: With the Whole30, I tried really hard to eat enough at breakfast, lunch, and dinner to keep me full until the next meal. There were times in the afternoon when I needed to add a small snack to get me through until dinner, but I completely broke my nighttime snacking habit and didn’t eat anything after dinner. I’ve become a tea drinker in the evenings and I’ve found some good ones that have just enough sweetness to make me feel like I’m indulging. Over the past couple of weeks, I’ve been thinking about where I want to go from this point. I’ve worked hard so I don’t want my efforts to be for nothing, but I also want to be a little more relaxed. 1. My morning coffee and breakfast will remain the same. I’ve learned to like black coffee (did I really just admit that!) and don’t miss the half and half. I also really like my egg and veggie frittatas. They are easy to make and eat on busy school mornings. 2. My pre-workout snack will remain the same. Instead of fruit and cheese, I’ll stick to lunch meat or another non-dairy protein source. 3. No nighttime snacking. I’ll make sure I eat enough at dinner to stay full until breakfast. I know nighttime snacking is my downfall and what causes me to gain unwanted weight. 1. WINE. 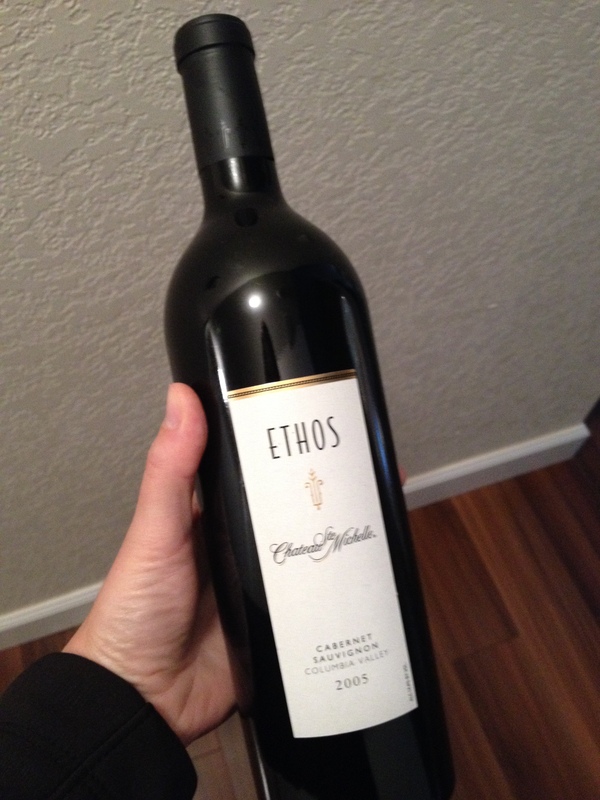 You better believe I will be drinking a glass of wine on the weekend nights (and tonight, for that matter!). I missed that most of all (what does that say about me?!). 2. I do miss bread and treats and I will be having that occasionally, but I’m going to try and bake dairy-free, grain-free, and refined sugar-free as much as possible. 3. I will be more relaxed with my eating, but will still aim to eat Whole30 about 90 percent of the time. I’ll probably try and be very strict during the week and then be more lax on the weekends, as long as I’m able to maintain my weight. All in all, I’ve been very pleased with the last 30 days. I love how I feel, I love how easy it was this time around, and I love that I’m motivated to continue eating this way because I know it’s beneficial for me. I’m not going to do the recommended reintroduction to foods. I did that last time (during my first Whole30 in April 2013), so I know what bugs me and it’s stuff I shouldn’t be eating much of anyway (dairy, gluten, and refined sugar). I highly recommend the Whole30 to anyone. It’s great for weight loss, but even if you don’t have weight to lose, you learn so much about what makes your individual body work throughout the process that anyone can benefit. 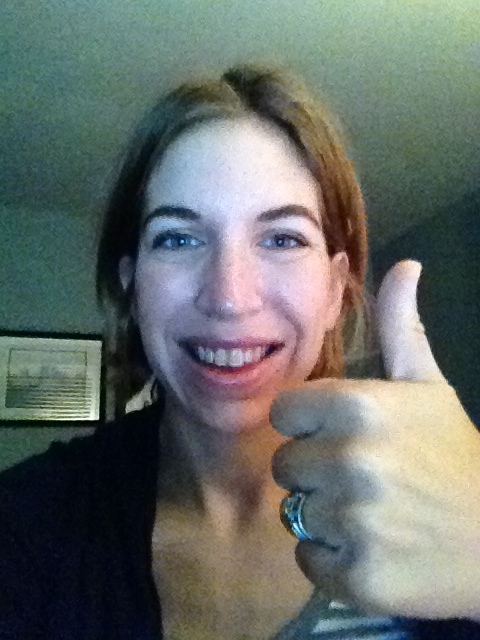 W30 Day 30: I did it! Day 30! I’m done! I feel like balloons and streamers should come falling from the ceiling in celebration!! 🙂 But seriously, I’m excited to reach the end, but don’t feel a huge sense of relief because I plan to continue the Whole30 way of eating as much as possible. I feel great, I’ve found there are TONS of recipes and meal options that haven’t even begun to explore, and I’ve worked hard to get to this point and don’t want to let it all go because the 30 days are over. Dinner: Taco Tuesday! 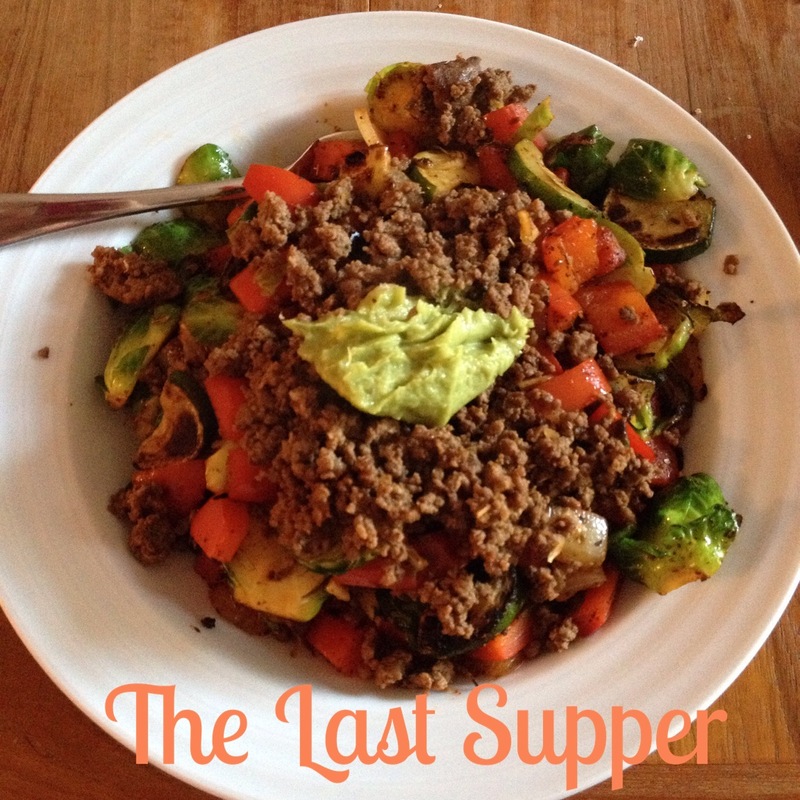 I put my taco meat over sauteed red peppers, sliced brussel sprouts, zucchini, and onion. I’ll be back later today with a recap of my Whole30, including my before and after measurements and weight.